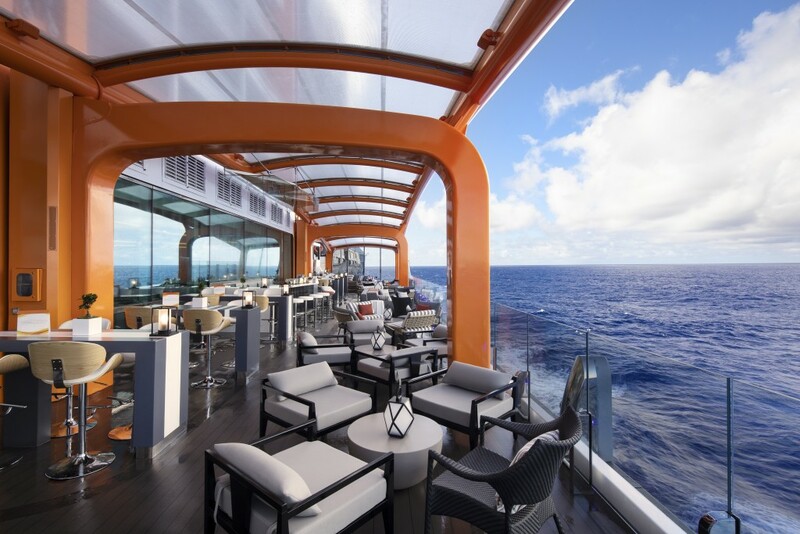 Celebrity Cruises’ billion-dollar Celebrity Edge has launched in Fort Lauderdale, Florida, ready for her maiden guest voyage on December 9 2018. 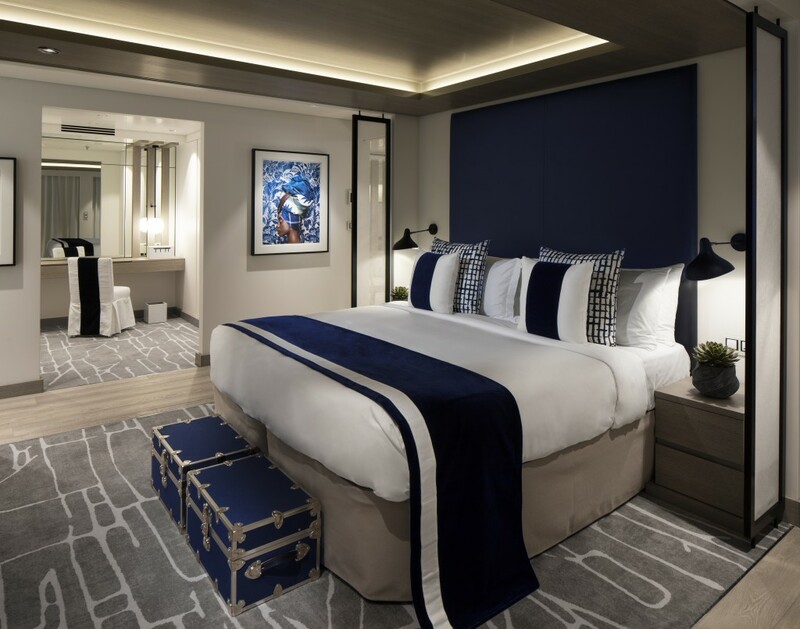 Created in collaboration with world-renowned interior designer Kelly Hoppen and architect of Dubai’s Burj Al Arab Hotel Tom Wright (WKK), the 2,918 guest Celebrity Edge is a ship designed to shatter all expectations of the cruise experience. 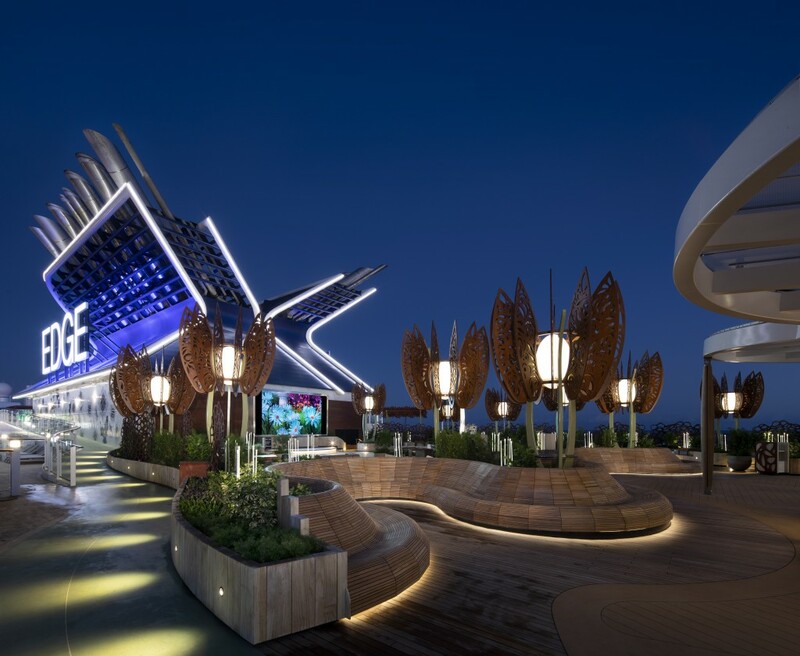 “Celebrity Edge is already hugely popular with Australians. 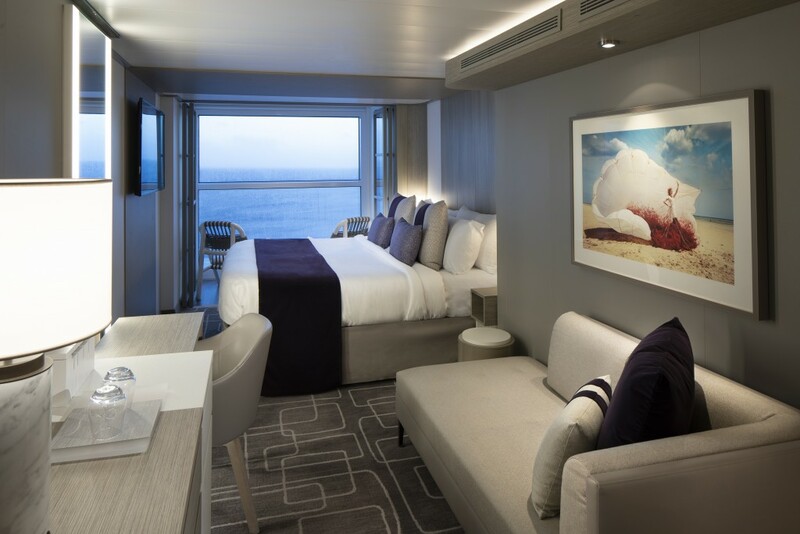 With thousands already booked for her Europe and Caribbean sailings, Australia is now the third highest source market for this ship,” said Susan Bonner, Vice President and Managing Director, Celebrity Cruises Australia and NZ. The Magic Carpet – an open-air venue cantilevered off the side of the ship that moves between decks according to mood and function. 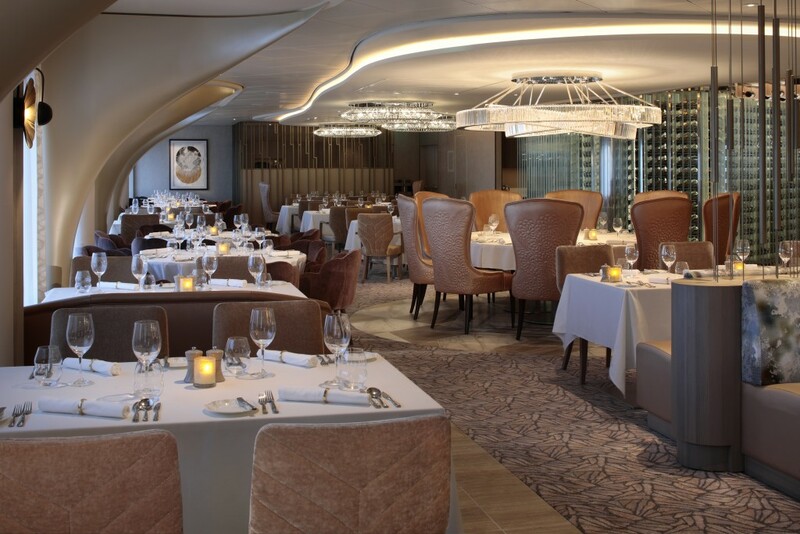 At the summit of the ship on Deck 16, the Magic Carpet becomes the ultimate specialty restaurant offering a special “Dinner on the Edge” for 90 guests. Alongside Deck 14, Magic Carpet becomes an open-air expansion of the main pool area. 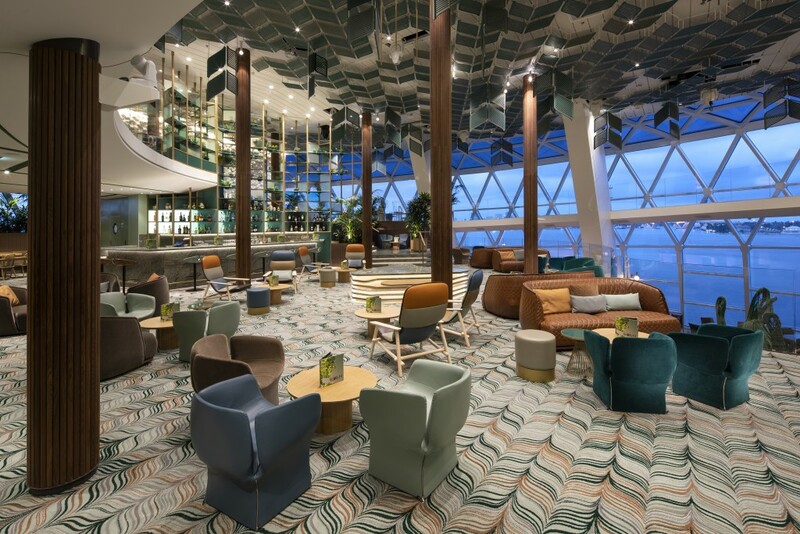 At its lowest position on Deck 2, Magic Carpet is a key component to the Destination Gateway, a luxury embarkation station where guests will be whisked away aboard sleek tender ships called Edge Launches. The Spa – a 2000 square metre sprawling space inspired by the soothing elements of nature with panoramic ocean views. Featuring more than 124 treatments, 31 therapists and signature offerings such as the Ocean Spa Wave Massage, Hot Mineral Body Boost, Poultice-Powered Muscle Release, Zero Gravity Wellness Massage, The Spa is the ultimate pampering at sea. Rooftop Garden: a living urban playscape inspired by childhood playgrounds. Brought to life with the help of architect Tom Wright, it’s a lively, spacious environment perfect for slowing down, wandering, and daydreaming. Grand Theatre – Created in collaboration with award-winning architect and designer Scott Butler, founding partner of Wilson Butler Architects, The Theatre on Celebrity Edge throws away the curtain altogether, blurring the line between audience and performance and immersing guests in an entertainment experience like no other. 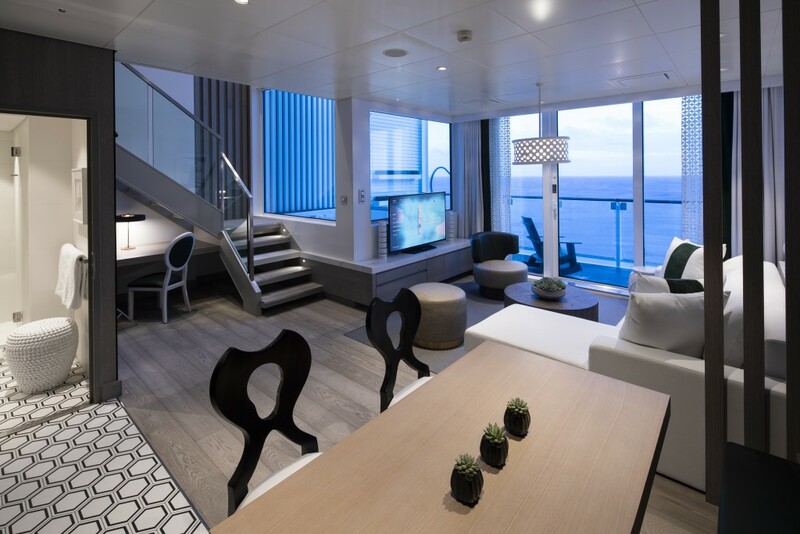 Infinite Veranda Staterooms – rooms that transform your entire living area into the veranda with the touch of a button. Split-level Edge Villas, which offer stunning views from two stories of windows, private plunge pools and direct walk-out access to The Retreat Sundeck. Hoppen also designed the two two-bedroom, two-bathroom Penthouse Suites with large soaking tubs on the veranda, large dual walk-through showers, and expansive walk-in closets, and the 146 large, outward-facing Sky Suites. All suites and double occupancy Edge Staterooms are fitted with exclusively designed plush king-size cashmere mattresses – an industry first – and offer personal butler services and access to The Retreat.